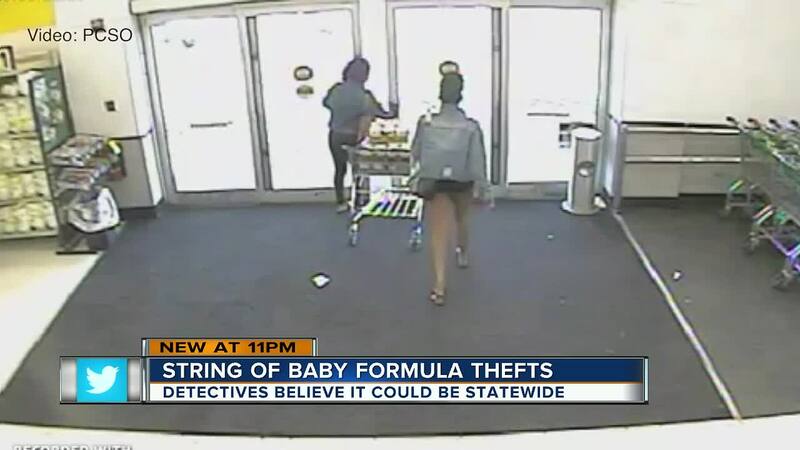 TAMPA, Fla. — Polk detectives have connected a string of baby formula thefts happening statewide to a woman in Tampa. The Polk County Sheriff's Office released video Tuesday showing two women hauling out 46 cans of formula from a grocery store in Lakeland. Investigators have linked one of the women in that video to 21-year-old Alexcia Calhoun of Tampa. They say that video and a picture on Calhoun's Instagram account led to her identification. The sheriff's office says she may be behind similar thefts in Marion and Manatee counties. "Surveillance cameras and social media are great tools in helping us catch criminals," Polk Sheriff Grady Judd stated in a media release Tuesday. "Folks, if you're going to steal, you're going to get caught. It's that simple, so don't do it." Alpha House of Pinellas County provides baby formula, as well as diapers and clothes, to mothers in need. 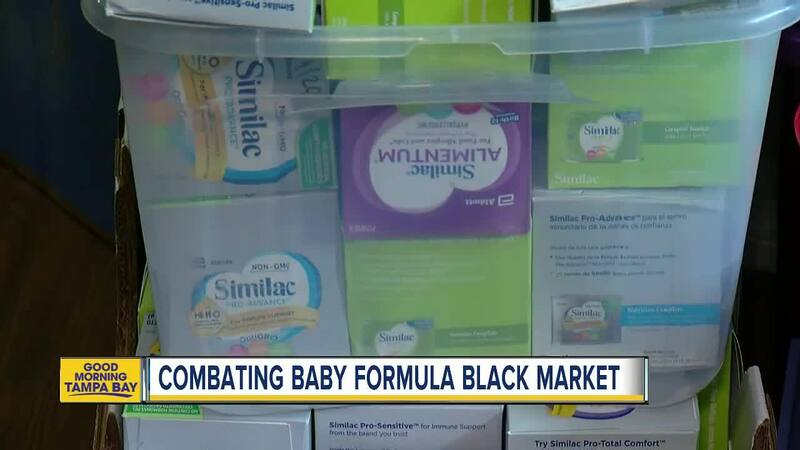 Executive Director Jennifer Stracick says the baby formula black market preys on needy families. "They know when mothers get desperate and a mother is going to get desperate to feed their child." Parents will spend up to hundreds of dollars every month on formula, making the pricey and portable product attractive to steal. "If somebody might need formula for their child and not know of us as a resource, then they might be taking that route and they might be buying formula from those that are stealing it," said Stracick.